…if we only let it. I’m lucky. Most of the time, my school walks this walk and talks this talk. I hope your’s does too. 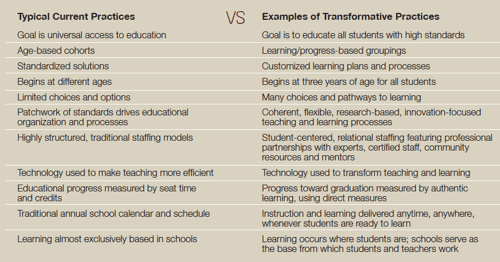 How do you transform factory era school systems so that they better serve the needs of an information age society? You don’t do it by being timid.